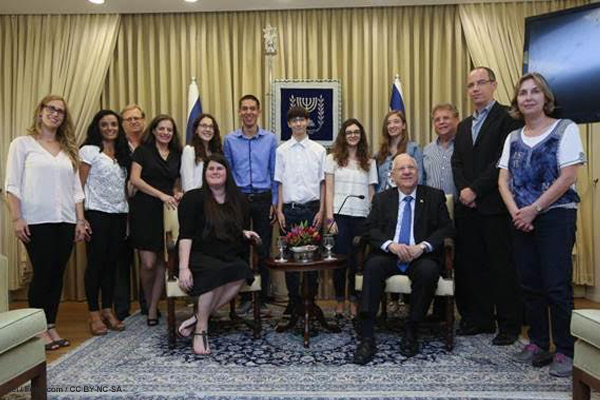 I’m excited to share that Israeli President Reuven (Rubi) Rivlin hosted the winner of the Google-Israel Sci-Tech Schools safe web surfing competition which has already reached over 20,000 people. 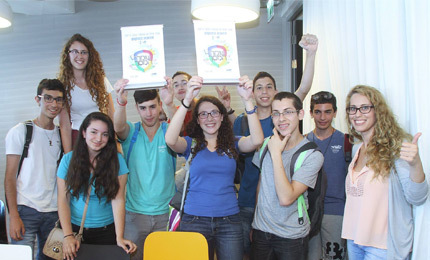 Israel Sci-Tech and Google have partnered together to train 1,000 young ‘Web Rangers to promote safe surfing and combat cyberbullying among young people, and to make them ambassadors of safe surfing in the community. Guided by educators, our students design creative campaigns with web-videos and classroom activities, target both schools and communities, alerting people to the dangers of the Internet. I receive many letters from parents and children about violence on social media, and so I am particularly delighted to meet you youngsters who have decided to fight this phenomenon. You are not just ‘Web Rangers’ – you are the leaders of the future! 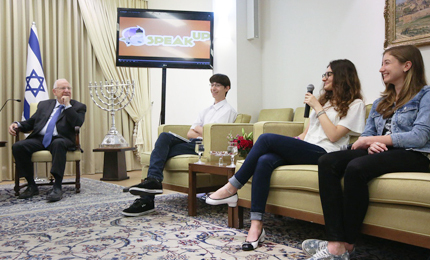 30,000 children saw the educational clip made by student Hadar Herskowitz, selected by the Ministry of Education for use on Safe Internet Day. Gali Bitran and her team, Cramim Sci-Tech in Carmiel, were awarded first place. 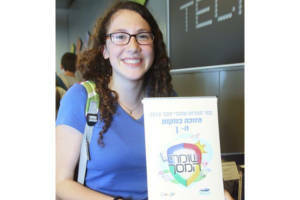 She proudly displays her Google – Israel Sci-Tech certificate. Thank you, Otilia, keep reading!